We read a lot about how education (and education reform) will lift people out of poverty. But if poverty reduction is your objective, there are more direct ways to do it. Begin young and with basics: primary healthcare and literacy. Give people a foundation to work from: help the poorest and most marginal (which usually means rural agricultural workers). Give people an opportunity to grow, and decentralize. And be equitable, including especially support for women. This article is focused on China, but we could read into it lessons for other countries who are doing the opposite of this, and how they arelikely to fare in the future. We now know what Creative Commons thinks of open education: it'll cost you. The price for its new online courses: $500. It's an online course for rich people. "The 10-week online course offers online instruction, a discussion forum and support for cohorts of approximately 25 learners per instructor." 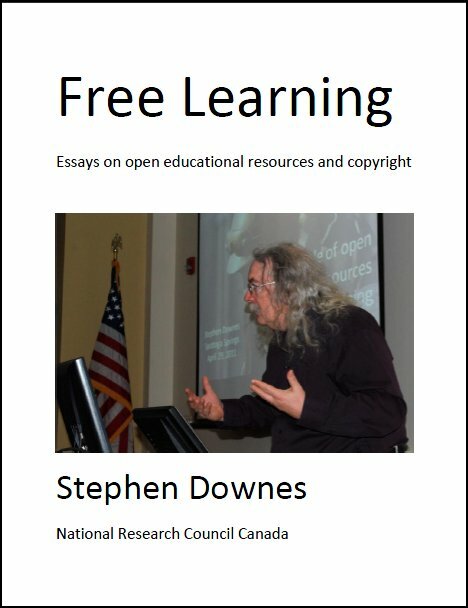 I don't see why Creative Commons could not have learned from the many lessons learned about offering open online learning, and I'm not sure I can trust Creative Commons as the host of an 'open education platform'. The version in my RSS feed doesn't have the question mark in the title, which may reflect shifting thinking after publication of this summary of a meeting of the M25 Learning Technology Group in London discussing "technologies that aren’t obviously or ‘officially’ ed-tech, but nonetheless are being adopted for teaching and learning." There's a good list of examples, including uses of Kahoot, Microsoft Teams, Wheel Decide, and Slack, and the launch of the IMPLEMnT website (blog posts here) to document case studies. That said, the examples illustrate the distinction between instructional technology, which includes technology used in the classroom, and e-learning (or online learning), which contemplates a strictly online approach, and sometimes needs more support for interactivity than these technologies provide. This is a pretty neat idea and a nice evolution of the use of interactive Jupyter Notebooks (discussed previously) in online courses. "Jupyter Graffiti are recorded, interactive demonstrations that live inside your Notebooks... Since a Graffiti “video” is a live replay of the instructor’s interactions, you can pause it any time — and when it’s paused you can dive in to play with the instructor’s work right in the Notebook (execute it, copy it, change it, execute it again)— and then resume playback when you’re ready." This is a nice blending of the instructor role, which is to model and demonstrate, and the learner role, which is to practice and reflect. I think this article does a good job of laying out the problem even if it only hints at possible solutions. Here's a clip: " Buying something you can’t afford, and borrowing from organizations that don’t have your (or your customers’) best interest at heart, is the business plan of most internet startups. It’s why our digital services and social networks in 2019 are a garbage fire." Quite so. But if the VC model isn't working, what will? Self-payment? The IndieWeb, or "products of IndieWeb thinking" like Micro.blog? Or "are these approaches mere whistling against a hurricane?" This is a really good introductory-level article about the design patterns behind the changing web and how we migrated from simple pages anyone could learn how to create to complex server- and API-supported web applications. The article trails off a bit in the last few paragraphs, as though Tony Hirst ran out of time, but no matter, it's still worth reading and passing along. And it points to the mechanics behind some of the new things people will be able to do with the new web. This is in the Chronicle of Higher Education, so I guess I can cover it, but it's a bit weird. Here was the challenge: ideas that would "drive $10,000 in annual wage increases for at least 100,000 low- and middle-income US workers by 2021." Here were the winners: "EMPath, which teaches clients how to keep from being overwhelmed by health or financial stresses," and "Cell-Ed Works, which provides low-tech training via cellphones in three-minute bites." I doubt either will create the desired effect. My solution would address the cause directly: low wages (amid record corporate profits). But I don't think the organizers were looking for things that would help low-income workers form unions and exercise political and economic power. But Friere was right: "To surmount the situation of oppression, people must first critically recognize its causes, so that through transforming action they can create a new situation, one which makes possible the pursuit of a fuller humanity." On the theme of what people can do with today's technology, here's a facial recognition machine. It uses input from publicly accessible web cameras showing people walking on the street, and compared the faces to images of people on nearby corporate websites. The facial recognition software is a service (on theoreti.ca Geoffrey Rockwell suggests it might be Amazon’s Rekognition). The Times article has a lot of background about privacy regulation, but I'm more interested in the implications of widely available AI services for the masses. The product is exactly as advertised in the title. In this post, Richard Byrne introduces us to Glide. It works like this: put data into a Google Sheets database. Then go to the Glide website and tell it how to access the database. And your app has been created. They're not world-changing apps - mostly, they're just nice ways to look at the data in the database. But if that's all you need, this is perfect. And at the very least, it illustrates the sorts of things people can build these days. Here's a sample app. "The common claim that the brain is a computer is not, at the moment, a concrete, precise, well-understood scientific hypothesis," writes the author, "Still, the claim is almost certainly true." Whether or not the claim is true depends on what you mean by "is a computer", and in this case, what the author is saying is that "the brain performs specific computations," for example, it performs edge-detection in visual perception, or identifies location from sound. So far so good. But I would say a lot depends on interpretation. When we say "performs specific computations," we imply that it does such-and-such in order to accomplish the result - for example, we might say that the purpose of neural processing is to identify the edges of objects. That certainly is a useful outcome of visual processing. But it's not the intent - it's just what visual perception happens to do. (By analogy: by the same logic, a river can also be said to perform calculations, finding the best way to move water to the ocean. But nobody would say that the river is created the way it is for the purpose of performing these calculations - see the difference?). Anyhow, great article, worth a read. This is an example of what I would call good online learning - indeed, just good learning in general. The setting is parent-teacher conferences for fifth-graders. The only people not there are the students! So this teacher had the student manage their own conference, presenting their work and interacting with both parent and teacher (and sharing their portfolio with caregivers who cannot attend). I would expand this as much as I could, having students manage their own learning activities as much as possible. Sure, they would mess it up - at first. But let them see examples of how it's done, given them responsibility for parts of conferences (like, say, conference reporting, or maybe recording the video archives), let them try it a few times, and they'll pick it up. The program outlined in this article - community conversations, new school models, dual enrollment, private schools, competency systems, etc. - is just a good way to waste $5 billion (or $30 billion, or whatever). The problem isn't quality. The problem is access. How would I spend $5 billion? I'd put into the hands of educators and communities, mostly in Africa. Maybe a million $5000 projects. Something like that. Ask them to form linkages with each other. Ask them to source locally where they can. Digital is important; there should be last-mile and community access projects. Owned locally, managed locally. No money for Harvard or Stanford or MIT, no money for consulting companies or think tanks - indeed, just the opposite, I'd be asking all those wealthy education reformers to match that money, without tying strings to it. Everybody is focused on giving people fish, or teaching people how to fish, but I'm a crazy-minded technologist, I want to make sure everyone has, and can make, their own fishing equipment. Tnhe title refers to the author (someone called 'Fluffy'), not me - I considered but never did use Patreon. I was about to, but their misstep a year ago scared me off, and I never did set up a creator account. And I can certainly feel Fluffy's angst about "using a platform, Patreon, that had absolutely no integration with outside sources. There was no way to republish RSS on Patreon, there was no way to subscribe to Patreon via RSS, it doesn’t even provide a way for a creator to export their own content off the platform." Also, "they’ve also been showing signs of collapsing under their own weight of needing to pay back their venture capital... How long will it be before they start increasing their cut, delisting underperforming creators, taking on more exclusive content distribution deals with top-tier earners?" I will eventually open a tip jar again (if for no other reason than to supplement my retirement income or to attend conferences) but it probably won't be Patreon. Via Aaron Davis. I don't understand why parents have to send children to 'alternate schools' for this. I studied science and technology at a public school in Ontario several decades ago and had plenty of hands-on experience (though admittedly, despite my best efforts, I never blew up a chem lab). We did physics experiments, biosphere studies, industrial design - a whole host of things. And it wasn't just Activity Day stuff - we made scientific notebooks and presented our results. It's not hard to make science and technology hands-on, it doesn't require special schools, and I think it's something most students (at least, those around here) are still doing. I never forgot those early activities, and what I learned is that it is the approach and process - being curious, asking questions, testing theories, talking about ideas - that matter, not the specific set of facts. As I type this I'm listening to Dave Cormier's video presentation to OER19 on pro-social - this came right after Bon Stewart passed on George Siemens's denouncement of the concept of 'learning engineering'. I first encountered the term last year when it was proposed as an IEEE-LTSC project. I tried to warn them about just how bad the term sounded, but to no avail. This page - the Industry Consortium on Learning Engineering (ICICLE) - is the outcome of some of that work. Note well: "ICICLE seeks participants to join this activity, that include but are not limited to, education and training technology vendors; textbook and eLearning media publishers; corporate HR/training departments; digital platform vendors (PC, tablet, phone, VR, AR); related industry associations; educational institutions; and government agencies." See also this EDUCAUSE article from last September. I don't want to say that a human has no value, or that a human's value is unmeasurable.... What I want to say is that words like 'value' and 'worth' and 'benefit' are not the right words to use to describe people. I found this the day after writing my own short post on 'value' but it serves nicely as a clarification of the concept described by Kant on treating people as ends-in-themselves and not means. First posted on Saturday! this article in the Stanford Encyclopedia explores that idea. "The entry begins by focusing on the roots in Kant of discussion of treating persons merely as means. It then considers (morally neutral) notions of using another or treating him as a means, notions that are less straightforward than it might seem." By 'less straightforward' what we mean is a bunch of cases where people argue that it is ethical to treat people as means. That's the way it usually goes. OER19 sessions - now 22% open! 14 of the 62 sessions are recorded - the rest you would have had to travel to Galway, Ireland, on order to watch them in person. I know that's a bit harsh, but I've been recording my presentations for 15 years now, and I would think that the people running a conference on open educational resources would have figured that out. At least (according to Simon Horrocks) we have Martin Hawksey and Harry Lamb to thank for the few sessions we actually do have that were recorded. Look for the little 'YouTube' logos next to the sessions (sessions consist of two or three short presentations, usually). Half of my work involves thinking like a futurist. But my approach to being a futurist is, I think, quite different from what's described in the article. For example, the first recommendation is to "forget about predictions." Why? "Nobody can predict large socio-technical transformations and what exactly these are going to look like." By analogy, "One way to think about this is to look at the difference between waves and tides. Waves are what we see on the surface... Underneath the waves is the tide, causing all kinds of disturbances of which waves are just one sign." But if you can't predict the tides, you're not much of a futurist. Being a futurist is predicting the future. Otherwise, you're an economist. The article discusses some other facets of being a futurist. One focuses on readiness, another on finding patterns, another on signals, and another on community. All of these have to do not so much with being a futurist but rather with speaking to a particular audience. That is a core skill, but has nothing to do with futurism. Take any proposition P - some people will care about P, others won't. I can make all kinds of predictions about tomorrow, but the odds are you will not care about them. Patterns, signals, readiness, community - all these depend on salience and relevance. But futurism is the opposite of that. Futurism is about identifying things that don't interest people before they land as unexpected surprises in their laps. A big part of it is pattern recognition - but from your own perspective, not your audiences. You need to see what they don't already see. You need to see what happens when emerging trends collide - do they cancel each other out, or do they amplify an effect? You have to have a sense of scale, seeing waves, tides, and sea-level rise. You have to have a sense of what could happen, and then scale back with evidence and probabilities about whether it will. You have to understand that your looking at data, not signs, signals and portends. And then - yes - present it with the interests of the audience in mind, but without them defining what your message will be. While the Internet Archive (IA) is a great service, it's not really meant for day-to-day use. It's an archive, not a production website. If you want to restore a site from the archived copy, that can be a lot of work, since IA changes all the links and adds a header. Archivarix acts like a reverse archiver - it extracts the site from IA, cleans it up, and presents it to you in a zip file ready for mounting on a web server where it can resume its former life as a real web site. It won't be perfect - things IA couldn't harvest, like CGI scripts and some background files, will not work. But in many cases, the results will be quite acceptable. Robin Good reviews the site and shows some videos of it in action. The question being considered by the author is one best considered while still working in a college or university environment, I would say. And it should be thought of in this sense: if I left academe today, would I still be working on this work? If the answer is 'no', stop doing the work and start working on something you're actually interested in. For me - and I suspect for most real academics (whether in academe or not) - the work is work we would be doing anyway. I disagree with the sentiment expressed in the headline for two reasons. First, many of Canada's think tanks are what Guillaume Lamy calls "combat think tanks", meaning they "defend or advocate on behalf of ideologies and policies outside the political system." And they do this using illegitimate or very questionable research. And second, they “are highly adept at getting their messages heard in today’s crowded ideas marketplace.” Depending on private fundraising from special interest groups, they essentially shout down more legitimate perspectives, placing columns in newspapers, filling all the slots for media interviews, and thereby defining conversations they have no business being in. It's worth noting that news media are their willing accomplices as they turn to the think tanks for an easy headline rather than doing the work of interviewing serious academics, researchers and scientists. Image: explorenation #. I'm going to use this post as an excuse for discussing the part where I disagreed most with Kate Bowles (see below). She very clearly ties the need for open education with an ethics of care. In a similar manner, I listened to a radio show today connecting our response to climate change with a certain ethical perspective. And I see the reasoning - if only people adopted a certain ethical perspective, then systems would be humane and people would do the right thing. However, my fear here is that if we are putting our trust in ethics (in both education and environment) then we are putting our trust in exactly the wrong thing. We can discuss ethics, we can refer to them - but you can't make people ethical - at least, not in the sense that everybody is ethical in exactly the same way everyone else is ethical. And if you depend on this in order to succeed, you won't succeed. This post responds to a recent article by Kevin Carey, summarized here. The points where Carey was right: tuition costs too much, and online program management (OPM) is not helping things. So where is he wrong? In three places, says Steven Krause: first, in the idea that MOOCs can cut costs. Second, in the idea that students are not 'repeat customers'. And third, the very idea that corporations are "devouring" education (which may be more Carey-wish-fulfillment than fact). Maybe Krause is right. But from where I sit, universities could have done a lot more to make education affordable, and for whatever reason, they didn't. I thought it was a good talk overall. The message was essentially this: we are in an era when education is being industrialized. Meanwhile, a lot of education work is being marginalized, and it is only the ethics of care that supports things like, say, open education. But as Geroge Siemens says, education is a system, and systems don't care - only people care. Somehow, says Kate Bowles, we need to turn this around. Systems break down because they ask the most vulnerable people within them to pay the price of changing them. And the university (like the Murray-Darling river system) has broken down. This university is no longer a university. Note: the video opens with a bunch of advertisements, then welcome messages, and at the 33 minute mark the talk actually starts. There are all kinds of wrong with this story. "An Indiana school district, however, had a different idea of how to train its employees to prepare for an active shooter. This employer had its employees shot in the back, execution style, with plastic pellets." I'm tempted to say I'm "so glad we don't have active shooter drills here" but then I realize that it would not surprise me at all were our management to require one. The folly of a fully weaponized population should be obvious, I think - if not from statistics, then from the culture of fear that such an environment creates, and how education for such environments crosses the line from learning into propaganda. I won't watch the video, and I won't take part in active shooter drills, because I refuse to accept an environment in which this is normal. So OK, I'm glad a tech company donated 13,746 pieces of conference swag to local schools instead of to conference attendees. Though that said, I would have been more impressed had the school division been in a place that needs the help - not San Francisco, but Oklahoma, say. Or even better, Malawi. Or even better, not branded conference swag, but supplies they can actually use. Or even better, spending that effort lobbying governments to properly and equitably fund schools instead of trying to privatize them. But yeah, stress-relief balls to San Francisco schoolchildren. That actually is better than what they're doing now. This is my favourite kind of learning technology. "Try your hand at robotics with Nybble, a programmable cat that walks, bats its paws, and even regains its balance after a jump from a tall surface... A wooden puzzle forms the cat’s basic frame, while a small computer imbedded in its torso directs its movements. Instructional videos for how to put the kit together can be found on Petoi’s website, and an overview of the robotic animal’s tricks and abilities can be found in the video below." Meow! This paper (15 page PDF) proposes "a framework for secure, trustworthy social networking that also creates value for user-generated content by using a blockchain-enhanced framework for social networking." Obviously a similar approach could be used in educational networking. The framework proposes mechanisms for authenticating authorship, sharing options, recognition or reward, and algorithms for nuisance management (sentiment, trolling, spam). Where blockchain comes into play is in enabling these functions in decentralized systems while protecting user privacy. We're probably still a number of years before we see anything like this widely used, but it suggests the direction we're heading. This might seem like a really good idea - until you work through the consequences. The idea is that aspiring college students sell stakes in their future earnings on something like a student stock market. “I envision a whole new equity market for higher education in the next five years where today there’s only debt,” says Chuck Trafton, who runs a hedge fund. Ah, but I can see the problems already. Not all students will be able to sell options - and the ones declined will be the usual set of minorities and less affluent students. As well, when companies sell stock, they assume a fiduciary responsibility to prioritize earnings - will the same apply to graduates? Will the options be traded? Will there be scams and insider trading? If we have to use a loans-based system, I'm in favour of income-based repayment - but not an options market. Clint Lalonde reports on "system wide testing of an accessibility product called Ally with 5 institutions: UBC, VCC, NIC, Langara College & Camosun College." Created by Blackboard, and advertised as LMS Agnostic, Ally scans learning content and helps institutions provide accessible versions. Lalonde's post summarizes the testing project final report (12 page PDF). Ally is seen as useful and a good part of an overall strategy., though cost is an issue. This survey of some 90,000 software developers on Stack Overflow is heavily weighted toward European and North American respondents, and of course is self-selecting, but it still provides some pretty good insight into the field. Let's deal with one myth right away: the idea that programmers don't go to school. Wrong - the vast majority of them have a university degree. The vast majority are also employed full-time. But the rest of the stereotypes all fit. They are overwhelmingly young white males. They're not heavily into social media, but if they are, it's probably Reddit. Apart from their degree, how do they learn? Generally by teaching themselves, otherwise by taking a MOOC. Terry Anderson's Equiv Theory is essentially the idea that "though interaction is critically important in distance education, it can take many forms and further that one form can substitute for another." It's the sort of theory that's difficult to quantify and evaluate - what is it for one sort of interaction to have the same outcome as another? And how do you apply it when the outcomes are complex - for example, as I read this article I couldn't help thinking that the purpose of a PhD program is as much to socialize or enculturate prospective professors as it is to advance knowledge. Anyhow, this post is a summary and review of Constance D. Graham and Liezel Massyn's review of the Equiv Theory (30 page PDF). Anderson is generally pleased with the study, though as he says, Equiv may be more useful as a tool than as a theory. Counterintuitively, the first impression you will have on reading this 416-page document is brevity. It does not waste words. It's also a pretty traditional presentation of the subject - not necessarily a bad thing. The cognitivist perspective on learning ("starts with awareness of stimuli, cognitive encoding of that information, and its retention in memory") will appeal to some but by no means all. On the other hand, the volume as a whole is very well-written and clear, is comprehensive, and serves as an excellent overview of the subject. There's a lot there, but you can get through it in a day, and it will be a day well spent. It's free but you need to create an account to download, but it's CC-by, so I put a copy on my site you can download directly (416 page PDF) without filling out forms. This is a slide presentation describing (and promoting) the micropub specification. Micropub "is an open API standard (W3C Recommendation) for creating, editing, and deleting posts on websites and is supported by numerous third-party clients and CMSs." The idea is that you pick one application and then post anywhere. It's a great idea that needs to become a bit more intuitive in order to work. But I definitely endorse the principle. Good slides (lobve the front page) with lots of links to applications. Dave Cormier calls on all of use to help build a better internet. "Please participate. Do it well. Put your values on the internet. Our society is literally being shaped by the internet right now, and will be for the foreseeable future." I'm all for that. But as I commented: " No amount of human posting will be sufficient to counter bot-driven (or mechanical-turk-driven) counter-content. No amount of careful contributions will turn off the surveillance and targeted advertising." And that's the conundrum we face. I've had a podcast for many years - here it is. It's not a nice neat podcast with weekly episodes and such - that's far too organized for me. But any time I give a talk I record the audio and throw the result into my podcast, and you can use the RSS feed to subscribe to it in your favourite podcatcher. All this by way of saying that I'm invested in the podcast genre, and it's something that resonates with me. This article points to and documents therise of the medium. "The popularity of special interest audio/video podcasts has grown steadily among both sexes and all age groups. With more than half of the world’s population now online, the breadth of audio and video shows capturing audience attention continues to grow." Podcasting will in the future be increasingly challenged by content silos with paywalls. I hope it survives. In the great tradition of Canadians being really interested in what other people have to say about us, I bring you this article from the BBC. The article makes it appear that Canada is a recent arrival in the top echelons of the PISA tests, among other educational measures, but in fact the country has been lingering there since the beginning. But what the BBC article does get right is this: "So how has Canada overtaken so many other countries in education? Andreas Schleicher, the OECD's education director, says Canada's 'big uniting theme is equity'.... The equitable outcome goes a long way to explaining why Canada is doing so well in international tests. It does not have a tail of underachievement, often related to poverty. " This is also reflected in Canada's world-leading post-secondary education attainment, and in the smart and creative talent supporting Canadian industry. The promise is something else: "In this article, I'll develop Python code that will take me from an idea for a protein all the way to expression of the protein in a bacterial cell, all without touching a pipette or talking to a human." In many ways this post is super-complex and I wouldn't expect readers to work though the example provided. For one thing, it would cost some money, and for another, synthesizing your own proteins isn't exactly the easiest thing to do if you don't have any bio-engineering background. That said, this is a fantastic example of the sort of thing we can do with dynamic data-driven open educational resources (OER). Even if all you do is follow along and tweak the embedded algorithms and graphs, you're still gaining something. (From 2016, via O'Reilly - the website is getting slammed at the moment but the response on Wayback is pretty good). More tools for working in the cloud from last week. I saw this a few days ago, didn't list it, and then needed it almost right away. That's a pretty good sign I need to list it. This summary describes how artificial intelligence is being used in education. What makes it useful are the breakdowns - differemt AI applications, different uses in education, different reasons for adoption, where AI is creating value, etc. All with colourful charts suitable for framing. It seems reasonable that an AI could author this sort of book. The prototype "provides a compelling machine-generated overview about the latest research on lithium-ion batteries, automatically compiled by an algorithm." Scientific papers have a fairly rigid structure, and so it should be reasonable straightforward to create a literature summary. More tricky would be identifying relevance of individual results and placing them into a wider context. No word on whether the unattributed marketing article was also AI-produced. This is a look at a number of the lesser-known federated social networking applications (known collectively as the 'fediverse', and known as 'federated' because there is no central website, but rather a 'federation' of interconnetced websites). Belshaw looks at Misskey, Socialhome, and Pleroma, among others. "Just a few years ago," writes Kevin Carey, "universities had a chance to make a quality education affordable for everyone. Here's the little-known and absolutely infuriating history of what they did instead." I'm not sure how little-know it is; after all, the sector's failure has been chronicled over 20 years in these pages. But the core observation is dead on. Universities "outsource much of the work to an obscure species of for-profit company that has figured out how to gouge students in new and creative ways. These companies are called online program managers, or OPMs, an acronym that could come right out of 'Office Space.' They have goofy, forgettable names like 2U, HotChalk and iDesign." The initial concept is laudable. "What Anbar has in mind is something he calls "active OER." That's taking the standard digital textbook and expanding it with the addition of digital resources, including simulations that are both interactive and adaptive." So is the committment of $25 million to the project. But why then would it be narrowed down to one commercial provider? "That's where Smart Sparrow comes in: The company produces aero, a learning platform that allows the instructor to pull together lessons from a set of templates." This is in many respects the opposite of extending OERs with interactive resources. Rather, it looks like another case of open-wrapping - taking open content and wrapping it with a proprietary interface. This is a study of YikYak in education. "Yik Yak was a social media application which was designed according to the three principles of anonymity, hyper-locality and community moderation, and focused specifically on user appeal on university campuses." The potential for problems was clear. "There were several well-publicised incidents of hate and victimisation over the period of the life of Yik Yak." But did the value make up for that? "Yik Yak was not for the most part a toxic environment." And when in 2016 YikYak curtained anonymity its popularity plummited. The authors suggest that unreachability holds significant social value for students" and that there is a need for "thinking in a more nuanced way about the social media ecologies of students and re-framing them in terms of what Haber has called ‘the complex desire for diverse temporalities of interaction – different speeds of communication at varying levels of intimacy and exposure’." I've been playing No Man's Sky since almost the day it launched and this is the upgrade I've been waiting for: VR. The game had a rocky launch; it was basically just a sketchy universe and some controls. But the potential was obvious even then. No, according to this report. this summer's update will include for virtual reality. "If the goal of No Man's Sky is to make players feel, full-stop -- then VR is the best way to play." The best line in this post is this: "each year in the US, we turn out thousands of students who have learned the rules Bach used to write four part chorales... but even though we train thousands of students, year after year, we haven’t seen another Bach." Of course, part of the reason for this is the same as the reason we can make most students above-average: the second person who is equal to Bach, even if equally talented, can't be Bach. And of course the United States has produced acres of brilliant musical talent over the years, as original and creative as Bach, but of course, not Bach. The pedantry aside, I agree with Wiley's overall point, that any discipline is a mixture of art and science. And so, "the choice between a research-informed, data-driven classroom and a classroom centered on relationships of care and support is a choice we don’t have to make." One of the things that has made me happy about MOOCs is not the way some entrepreneurs turned them into multi-million dollar businesses, but how they have really become a fixture of the education systems in less privileged regions of the world. This impact is demonstrated through stories like this. This story describes SWAYAM, which stands for Study Webs of Active-Learning for Young Aspiring Minds and means self in Hindi. Students can sign up for courses on SWAYAM, which are free to take, and upon completion, have them count toward their degree. Awesome. A 'root of trust' "ensures that a system state comprises all and only content chosen by the user, and the user’s code begins execution in that state." In other words, only if you have a root of trust can you be sure nobody else has infiltrated your computer with spyware or whatever. This paper (Establishing software root of trust unconditionally Gligor & Woo, NDSS’19) demonstrates a proof for root of trust. The proof is complex, but is essentially based on the minimum time it would take for a computer to perform the 'lower bounds' of a specific algorithm (specifically, a hashing function). When I studied rule-based processes of induction in the 1990s, John Holland was one of the people I turned to. In the end I came to view induction as an outcome of complex systems. This is important, because it means the processes described by people like Duncan J. Watts can be applied to scientific reasoning. In this article I learned that they can also be applied to legal reasoning, which makes sense if you come to the understanding that law is a dynamic complex system. This is a good interview with law professor Dan Katz, though I wish it had gone into some more depth on some of the current issues regarding AI in law - for example, how does the use of neural networks impact equity in law? Do neural networks stereotype? Do they create different systems of justice for the rich and the poor? Make no mistake. I think YouTube is a fantastic resource. But it has problems because of the way it rewards engagement and views, and because it's recommendation engine can be manipulated by controversy and outrage. "The massive 'library,' generated by users with little editorial oversight, is bound to have untrue nonsense. Instead, YouTube’s problem is that it allows the nonsense to flourish. And, in some cases, through its powerful artificial intelligence system, it even provides the fuel that lets it spread." Good article, takes a bit to get going, but provides a good insight in the end. Nominated for a Hugo Award (for excellence in science fiction and fantasy) is a website called Archive of Our Own (AO3), "a fan-created, fan-run, non-profit, non-commercial archive for transformative fanworks, like fanfiction, fanart, fan videos, and podfic." AO3 is a project of the Organization for Transformative Works. This site challenges traditional publishing norms by supporting unauthorized versions of popular cultural works, and by maintaining a steadfast open access (or, at least (free) membership access) policy. "We are proactive and innovative in protecting and defending our work from commercial exploitation and legal challenge. We preserve our fannish economy, values, and creative expression by protecting and nurturing our fellow fans, our work, our commentary, our history, and our identity while providing the broadest possible access to fannish activity for all fans." I hope they win. It's interesting to see that some of the issues we've had around open educational resources have also been at play in the world of free and open source software. Steve Klabnik authors two posts (first, second) on the subject. Here's the crux: people are concerned not just about the redistribution of software, but also (and mainly) about the production of software - that users of open source contribute to the community, fix bugs, include documentation, etc. Licenses, for the most part, don't speak about the mechanism of production, which allows companies to abuse them but complying with the letter, but not the spirit, of free and open software. According to this article, Microsoft is announcing "the pilot availability of the Open Up Resources ELA curriculum and Microsoft Education free offering." They were created by Open Up Resources, "an education nonprofit that creates high-quality, standards-aligned curriculum, and provides it for free to improve education equity." Ah, but it comes with conditions. The first is that the content is designed for Microsoft's OneNote, so you can't simply use (say) a web browser. Also, it's not like you can simply go to the site an access it - there are forms to fill out and previews to preview and whatnot. Phil Barker writes, "schema.org v 3.5 is now released, with EducationalOccupationalCredential 'proposed for full integration into Schema.org, pending implementation feedback and adoption from applications and websites'." The specification is pretty minimal, with 90% of it being imported from CreativeWork and from Thing. Note the uses described: "educational background needed for the position or occupation; a description of the qualification, award, certificate, diploma or other educational credential awarded as a consequence of successful completion of this course; or specific qualifications required for a role or occupation." See also this page. No, this isn't an article from 2009, though it could be. But yes, it's still true in 2019, though we're more likely to see that today than we were back then. So what happened to RSS? Google killed its reader, Microsoft tried its own format, Apple tried to own podcasting, and the social network services didn't cooperate with each other. And so we got following and retweeting and all the rest of the schoolyard shenanigans we see in online media today. This is a review of JISC's learning analytics service which went live last summer. What have they learned? For one thing, "worries about staff and student reactions to learning analytics often melt away when consultation and communication are done openly and well." Also, "far from being overly cautious, students may well prove to be an ally in this new space as they see the benefits that analytics can help us to provide." So long as there isn't the same freedom of movement for people as there is for data, for goods and for capital, we will not have an actual planetary labour market (nor either will we solve the persistent problems of poverty and inequity, but that's a separate issue). So while I appreciate the intent of the authors in promoting the idea of "the emergence of a ‘planetary labour market’ in digital work" we will not in fact see equity of working conditions if people are trapped within labour-unfriendly borders. This paper is part of a special issue on data globalization. No Portfolio? What’s your excuse? I've written in the past that employees of the future will be selected based on their portfolio of actual work rather than based on proxies like degrees and certificates. Artificial intelligence will make this a lot easier, as employers will rely on software to pick the most likely candidates. The many different ways of creating portfolios will also help. This set of articles looks at the practice of creating software design and development portfolios. Obviously not everyone will build their own portfolios from scratch the way a full-stack developer would. But this set of articles covers a lot of ground and with a little imagination you can see the sort of portfolio everyone might be using in the not-too-distant future. Image: Clint Hamada. Giulio Tononi's proposal here is that "any conscious experience needs to be structured, for instance – if you look at the space around you, you can distinguish the position of objects relative to each other. It’s also specific and 'differentiated' – each experience will be different depending on the particular circumstances, meaning there are a huge number of possible experiences. And it is integrated... shape and colour and location... are all held together at once in a single conscious experience." But why is consciousness one set of experiences and not another? If we stare at a screen of static, are we still not conscious? This article does exactly what the title says it does: identify the major providers of online learning in Canada. Athabasca University and Laval are the clear leaders in the university sector, with three Ontario colleges leading in that sector. Also worth noting are the regions that have not embraced online learning: New Brunswick, Manitoba, PEI - ironically where some of the greatest innovation took place. This is another article from what I previously described as the other side of the 'scientific evidence' debate. In this article Daniel Willingham looks at three proposed effects of digital technology - less memorization, flipped classroom and personalized learning - in order to argue "that the suggested education reforms are founded on a misunderstanding of the cognitive processes involved." What follows is (in my view) intellectually questionable. There isn't room here to break it down, but you can't prove a trend by citing a survey from 19 years ago, or cite a single paper to show that "college students attending a selective university use a feeble strategy" in search. Nor is it reasonable to cite Marissa Mayer to represent the position you are opposing, or to say it draws on a set of factors that hadn't been published yet. This paper is actually a synthesis of eleven other papers looking at various aspects of student management systems with respect to remote data gathering tools. The upshot is that the 'consensus' system described by these papers includes five elements: identify module, alert module, tracking module, SRM module, and an analytic module. Each of these is described a bit and the whole system is presented as a simple stack diagram. repeat his or her study." You don't need to use a graph database to do this, but it makes for a neat infographic. Storing education records on a blockchain makes them more accessible (and more permanent). It also opens up the concept of 'education records' to multiple education providers and issuers of credentials. So while the initial application - putting records on a blockchain - might not seem very interesting, the potential side-effects just might be. OK, at $3,000 each they're way too expensive, but if I want any toy to play with before I retire I want this. Jim Groom had one of these telepresence robots working in his office, and from everything I can see, it would be perfect for remote meetings and events (especially since it allows for the informal conversations in the hall that invariably follow). Groom writes, " You can control the robot from the browser, and adjust the height of the “head” which is an iPad mounted on a modded segueway. When you lower the 'head' the robot can move pretty quickly, and you have more control to get around. One you are ready to stay put, you can park the robot and share links, pictures, videos, etc." I accept that there will be a certain amount of sloppiness in online posts; after all, I'm no saint. But the Association for the Advancement of Computing in Education (AACE) ought to have higher standards than this article. Not only is it riddled with grammatical errors, it's factually unsound. For example, at one point it says 3 billion is "about a third of the world's population," which isn't close. It later says "Globally, 45% of the population are social media users," which is more accurate, though 45% is nowhere near a third. It tells us "81 percent of the United States population had a social networking profile," but the number cited, 243.6 million, is actually 74% of that population. We are told, "in Germany, 42.8 million people use social media", which is about half Germany's 82 million people, not the 36% the article claims. This article, which appears to be a placement for a statistics company, has zero credibility, and reflects the same on AACE. In a recent email, Creative Commons head Cable Green wrote "CC does plan to offer an API to CC Search" I think that's a good idea. I would use that; it would allow a content creation application like gRSShopper to use CC search to find resources to link to or embed. But what should such an API look like? One person suggested IMS's Resource Search, which linked to LTI. But IMS isn't exactly open; membership has its privileges. This article looks at a different sort of database, but the key to an effective API can be fount in item 5: "The API itself and any data collected from the API should be accessible to and shareable with the general public." I think this is important, and that it doesn't apply only to university students. I'm talking about "a feeling of being supported – that someone out there knows about you and your studies as an individual, will look out for you, and share your highs and lows." This is the sort of thing that will get a person out of bed in the morning and keep them working on something into the evening. It's what I miss most on those days I feel alienated from my own work. It's probably the difference for many people between success and failure. The key to support? Not ed tech - but rather, the knowledge that there's a person out there, listening, who cares about what you have to say. What some call 'presence'. I thought at first that this would be an article by and for professors bemoaning how badly they've been treated, but in fact it looks at the academic profession from the perspective of an outsider, that is, from the perspective of the many who obtained their PhDs and didn't have the luck or connections to latch onto a proper teaching and research position at a college or university. And yes, ultimately, I think that academia's decision to hand over the bulk of teaching durites to underpaid and poorly treated adjuncts will come back to haunt it. This report (32 page PDF) discusses on an assessment of the impact of open e-books, "exploring the costs and savings associated with such initiatives, and on the other hand, estimating their impact on learning outcomes (e.g. exemplified as academic achievements)." The report is structured around a case study of an e-textbook initiative in Poland. The report is focused mostly on the questions and considerations inherent in measuring the impact, recognizing it as a complex subject, and making recommendations about the sorts of data that need to be collected in future assessments. The Cluetrain Manifesto was an influential document when it came out 20 years ago. It proclaimed such things as "markets are conversations". I was one of the signatories when it was first released. There's a lot of discussion about what Cluetrain means, but my attention focused on a remark about how it spread. Searls says, "we didn’t do it by mass media methods. We did it by hacker’s methods. We wrote something we thought was good and put it out for review. Lots of people agreed that it was good and word spread from there." That's not exactly true. It was promoted by the Wall Street Journal and became a book. If you or I write Cluetrain, it sits there dead and unnoticed. But if the writer has connections with mass media, it becomes a mass phenomenon. That's what happened with Cluetrain. On CBC as I type this they're interviewing Geoffrey Hinton, who is talking about real science. Meanwhile, this ridiculous article describes the results of "studying 37 pairs of parents and toddlers." The study "found that with e-books parents ended up focusing more on the technology, including, for example, telling children not to push buttons or change the volume... electronic book enhancements were likely to be 'interfering with parents' ability to engage in parent-guided conversation' during reading." As one commenter says, "Another meaningless flawed study that suggests what the researchers decided it would at the outset. I'm not sure what to make of this article. It feels like he is having his 'groups versus networks' moment. He writes, "Networks are ephemeral. Systems exist to preserve. Systems exist as predictive agents. It's hard to control people in networks - they have too much agency, they can do what they want. The lack of controlability makes it difficult to achieve intended outcomes in networks. When agents want a clear outcome, they turn to systems. Systems preserve power." He still likes networks. But he concludes, "all connections and networks occur within a system. The system sets the rules for connection forming and for action capabilities available to individuals. And the system always wins." According to the article, the law "will require nearly all for-profit web platforms to get a license for every user upload or otherwise install content filters and censor content... Article 11 also passed, which would force news aggregators to pay publishers for linking to their stories." I will not be paying anyone any linking fees, so if you have a problem with that, let me know now. Also, I will not be charging any linking fees, so run wild. What I wonder is whether academic journals will start paying each other for citations, and whether newspapers will start paying the people they write about. That would seem consistent to me. Part of the problem with using 'scientific evidence' is that it mistakes efficiency for learning. Nick Shackleton-Jones makes this point quite nicely: "If someone wants to pass a test, the most efficient process is to give them the answers so that they can copy them into the paper." This is essentially what direct instruction amounts to, and so it's not surprising that the evidence people like Paul Kirschner cite reach this conclusion. The other side of the coin, though: "So what is it then – if it’s not storing facts in your head? (This question will not be on the test)." That's what connectivism seeks to answer. This is the other side of the 'scientific evidence' debate. I have no doubt that the evience has led Paul Kirschner to the conclusions he has reached (just as it has let the also-mentioned John Hattie to reach his conclusions). The question is: can we trust the evidence, and can we trust the inference that leads to the conclusion? For Kirschner, the answer is clear. "Cognitive load is about how our cognitive architecture affects how we learn and how this interacts with instruction. There are possibly two thousand scientific articles that show that the theory generally holds." Ada is a chatbot "which uses artificial intelligence to answer more than 1,000 queries each day from students and staff." It is credited with laudable achievements: "the chatbot has increased learner retention, reduced teacher workload and bureaucracy, increased mental wellbeing and enhanced support for visually impaired students." The service plans to expand using mobile apps and Alexa voice recognition. More here. For a few years I held an annual donation campaign to support OLDaily. I discontinued it last year because I cut my server hosting costs and so didn't have the need. But the campaigns never came close to what it would cost to support OLDaily if I didn't have a day job. It was an object lesson in humility (it would be nice to do OLDaily full-time, but it isn't going to happen) and it points to the question being discussed in this article: can we depend on charity to support valuable open source content and services? The author suggests that we can't, and my own experience makes it hard to disagree. Analysis of the Apple News announcement: “I’m sure Apple News+ will be fine, but man is it weird to hear a tech company describing 'human-curated news' as some high-concept innovation, and not the way news was selected and distributed for 400 years before the sorted feed era." This is a list of 149 products and services that have been killed by Google over the years. It stands as an object lesson in why you should not depend on commercial vendors and platforms for critical services. Source is on GitHub. Via TheNextWeb. The pushback against 'scientific evidence' in education continues (I put 'scientific evidence' in quotes because in reality it is neither). This article calls for "an urgent halt to the imposition of ‘evidence-based’ education on Australian teachers, until there a fuller understanding of the benefits and costs of narrow, statistical evidence-based practice." It substantiates that call with some very reasonable points: "In education, though, students are very different from each other. Unlike those administering placebos and real drugs in a medical trial, teachers know if they are delivering an intervention. Students know they are getting one thing or another. The person assessing the situation knows an intervention has taken place. Constructing a reliable educational randomised controlled trial is highly problematic and open to bias." While most educators know John Dewey as one of the founders of progressive education, in the wider world he is known (along with William James and Charles Sanders Pierce) as one of the three leading lights of pragmatism, and in particular, the pragmatic theory of truth. This article, just posted in the SEP, outlines that philosophy. "By focusing on the practical dimension of having true beliefs, Peirce plays down the significance of more theoretical questions about the nature of truth. In particular, Peirce is skeptical that the correspondence theory of truth—roughly, the idea that true beliefs correspond to reality—has much useful to say about the concept of truth." The article as a whole leans toward a positivist interpretation of pragmatism, equating it in places to verificationism, but I think that my be too strong a reading of the pragmatists. Gardner Campbell points readers toward this interesting project called Democratic Erosion. It's essentially a network that has gathered around a common co-created curriculum on the topic. Here's the curriculum (which has a number of articles well worth a read). There are different ways to join the network but the main way is to "Teach a full semester on democratic erosion." Campbell's post includes a video interview with he Brown University professor who started the course, Rob Blair. According to this article, the Open Logic Project is "an open-source, collaborative logic text that has several nice features. One is that the material is modular: it can be remixed into individual open-source texts on specialized subjects. There are now a few examples of this." For examples see the Project Builds and there are some preliminary instructions here. I have to say, Gary Stager is not wrong here: " Social media and the nonsense masquerading as education journalism have become inundated with a flaming brown paper bag full of articles out to prove that phonics and penmanship instruction are crucial 21stCentury skills, class size does not matter, constructivism is a failed pedagogical strategy, there are no learning styles, not everyone “needs to code,” all kids need to be above the norm, and that standardized testing is objective, reliable, and valid... Free advice: Forbes, the McKinsey Group, anyone associated with Clayton Christensen, TED Talks and EdSurge are not credible sources on education reform, pedagogy, or learning theory even if they accidentally confirm our own biases once in a while. They are libertarian hacks hell-bent on dismantling public education." I'm sure this description of his open pedagogy workshop will have people lined up at Dave Cormier's door, and for good reason. I'm sure it's an excellent experience. I can't hlp but notice there's no tech more complex that scissors and tape used in the workshop. That's one way to make sure you know the tech will work. I really have mixed feelings about zero-tech workshops on tech subjects like digital pedagogy. The medium is the message, and the main message being sent is that the tech can't be trusted. Last Updated: Apr 22, 2019 03:34 a.m.